You'll be £12.99 closer to your next £10.00 credit when you purchase A Wander Through Wartime London. What's this? Order within the next 8 hours, 3 minutes to get your order processed the next working day! Through a series of five walks this book discovers the sights, sounds and experience of the capital at war; it details the remaining tangible evidence of the dark days via air raid shelter signs, bomb damage on buildings and memorials detailing heroic and often tragic events. The new routes cover a wide area of London and reveal further evidence of the experiences of four years air war in the skies above our capital city. The East End & Docks, Greenwich, Bermondsey, Southwark and the West End are all featured, along with detailed maps and numerous contemporary photographs that accompany the text for each walk. The book also contains a number of appendices relating to the wider picture of the war. A well deserved story of London's Home Guard is told. A list of Civil Defence casualties that occurred within the boroughs covered by the walks is included as well as a detailed list of the locations of wartime fire and ambulance stations across the capital. This book will appeal to both the enthusiast and anyone with an interest in London's past. It is a further record of the memories and tangible evidence of this dramatic period of our capital's past and a tribute to those who lived through the Blitz and sadly so often, those who did not. This book helps the reader uncover the sights, sounds and experiences of the capital at war. They detail heroic and often tragic events. 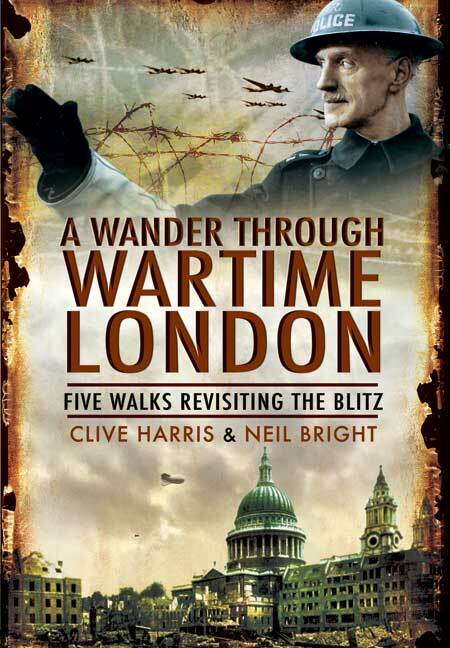 Through a series of five walks the authors of this book help he reader uncover the sights, sounds and experiences of the capital at war. East End and docks, Greenwich, Bermondsey, Southwark and the West End are all featured, as are details of the remaining tangible evidence such as air raid shelters, signs, bomb damage on buildings and memorials detailing heroic and often tragic events. Neil Bright has guided many wartime walks around his native South London and is a keen student of military history. He has numerous articles published in journals regarding the Blitz over London and is an active member of the Guild of Battlefield Guides. The sustained bombing of Britain during The Blitz hit many towns and cities across the country, beginning with the bombing of London for 76 consecutive nights from the 7th September 1940. By the end of May 1941, over 43,000 civilians, half of them in London, had been killed by bombing and more than a million houses destroyed or damaged in London alone.